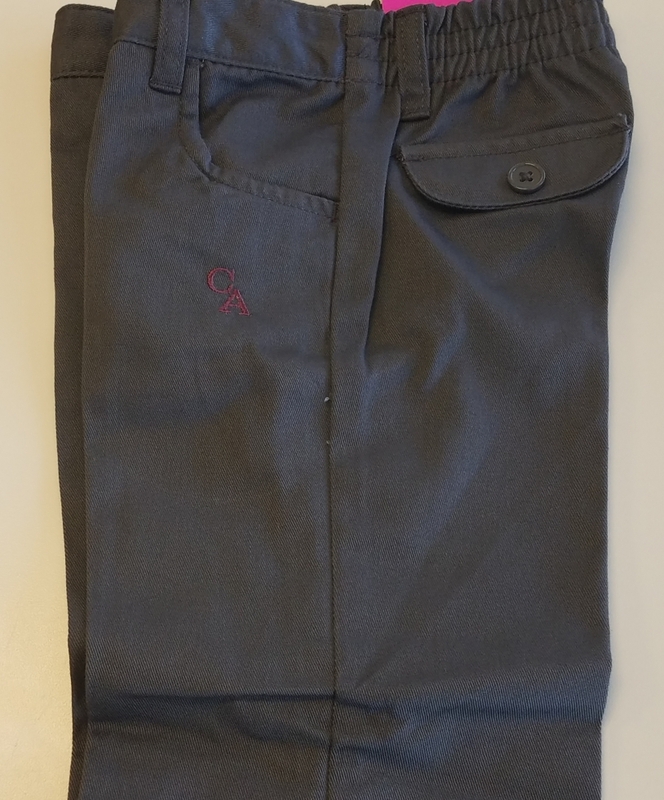 Cambridge pants come in Girls toddler sizes, boys toddler sizes and a unisex style for sizes 4-16. Toddler sizes are $13.99, 4-7: $16.99, and 8-14 $18.99. 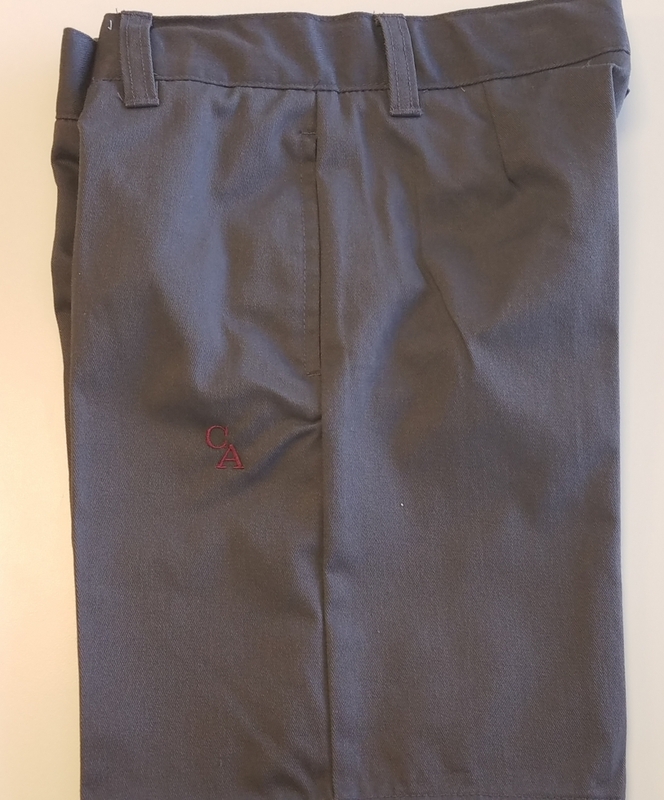 These are worn by the boys of all grades during both the Spring and Fall uniform.